It is not a straightforward task to calculate the cost of making a smartphone as companies do not share their component costs. However, we are grateful that third-party companies and market analysts are present to make do with estimates from various sources to give us a rough idea of the cost of smartphone models. Coming to the Galaxy S9+, component cost estimates the flagship to be more expensive than the Galaxy Note 8, so let us take a look at how this could be possible. 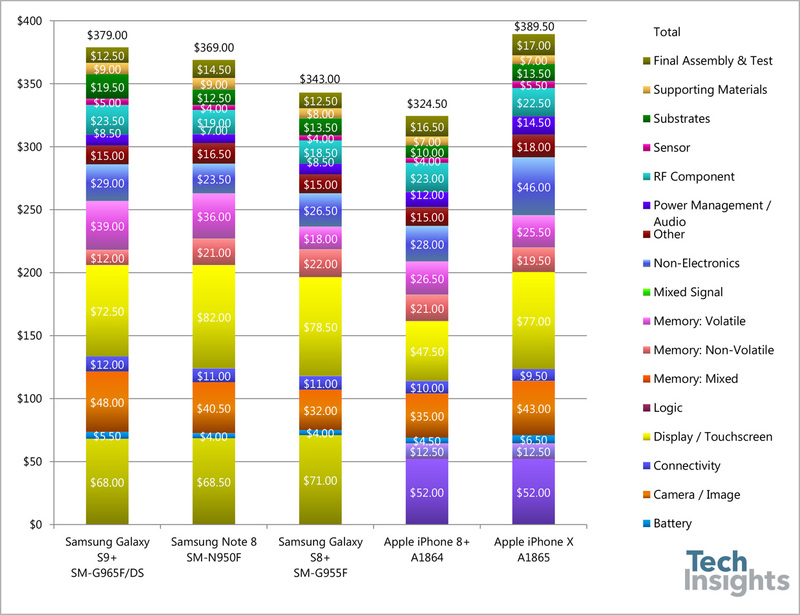 Recently, Techinsights did a cost comparison of different flagships in the market. Even though the comparison is centered on estimates, it still gives us a fairly good idea of the costs. For the analysis part, components prices were amalgamated to calculate the manufacturing cost of popular flagships. Recent costs might have changed, as the costs mentioned in the estimates are from the time of the initial teardown. 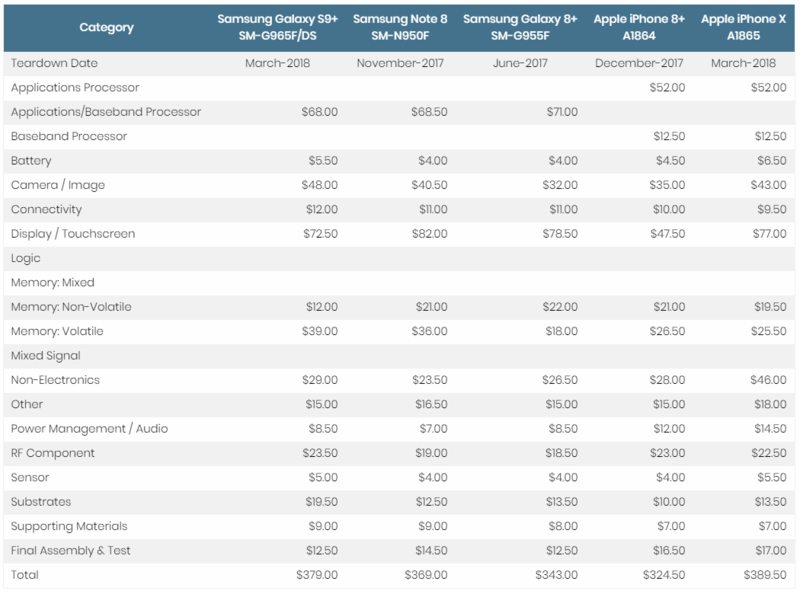 As per the analysis, Samsung Galaxy S9+ costs more to make than Galaxy Note 8, even thought Note 8 retailed at a higher price than the former at the time of the launch. Galaxy S9+ takes $379 to make while Note 8 costs $369. One of the most expensive phones in the market right now, iPhone X, retails for $999 for the base model and costs $389.5 to make, while iPhone 8 Plus is the least expensive to make at $324.5. Galaxy S9+ is still cheaper to make because Samsung has some control over the costs as a lot of components that go into its phones are made the company. Since Apple has to source most of these components from other suppliers, including the OLED panel from Samsung, the tech giant has to pay more upfront. Do keep in mind that the actual costs of a devices does not just depend on the components that went into it, but other variables such as marketing expenses, R&D, distributions costs, software costs, and so much more.